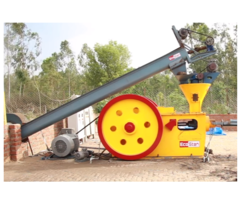 Our range of products include briquetting press machine, biomass briquetting machine, briquetting plant, briquette press little40 and biomass briquetting plant. 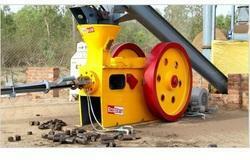 We offer a wide range of Briquetting Press Machine. 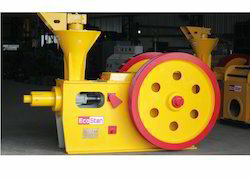 High-density fuel naming Bio Mass Briquette is manufactured from all type of binderies, degraded residues such as sawdust, bagasse, cotton stalk, coffee husk, pine needle, ground nut shell, which is a total waste and is a big problem for us which can be used in this briquette press. We are providing high quality, durable, and corrosion resistant Briquetting Press. These are widely appreciated for their quality and are available at competitive prices in market place. We export the Biomass Briquetting Machine overall the world. As the biomass briquetting is agricultural based manufacturing technology, our most of briquetting plant is delivered in the developing nations and agricultural based countries as there is plenty of availability of the raw materials. In this field, we have got an international repute as one of the leading manufacturers and suppliers of Briquetting Plant. This crucible is precisely manufactured by our adept team of professionals using an optimum grade of basic material and cutting edge technology. Our offered crucible is extensively used for pouring smelted metal in various foundries and several other industries. Apart from this, our esteemed clients can avail this crucible from us at many reasonable prices. Biomass Briquettes are widely used as boiler fuel. We have developed new power saving fully Automatic Mechanical and hydraulic operated Biomass Briquetting Plant. Operates with minimum electricity super power saving. Easy operating, less maintenance, silent operation.